Morton Contracting, Inc. originally came to me for a refresh of their copywriting, but we ended up doing a total rebrand. Their original website was a static HTML & CSS site built years ago. I suggested we move their site to WordPress to allow for future blogging and ease of updating, which would also boost their search engine rankings. 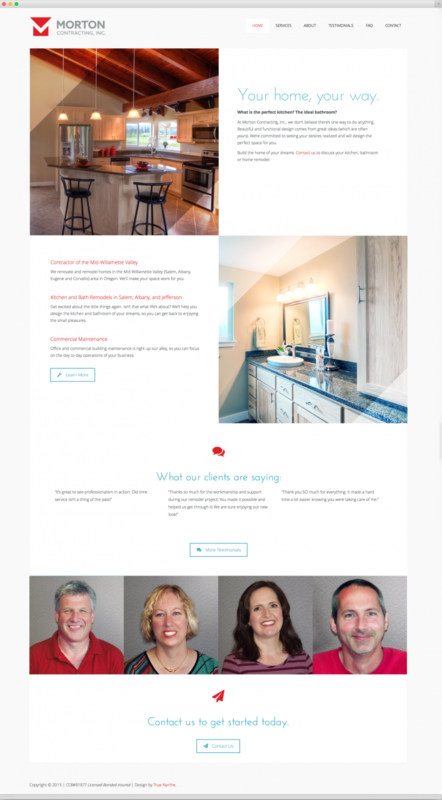 Morton does beautiful work, and we wanted the website to reflect that, with the focus being on finished remodels. Squares and right angles (which complement the logo which I also designed) which reinforce structure, precision and stability, are the main design elements of the site.